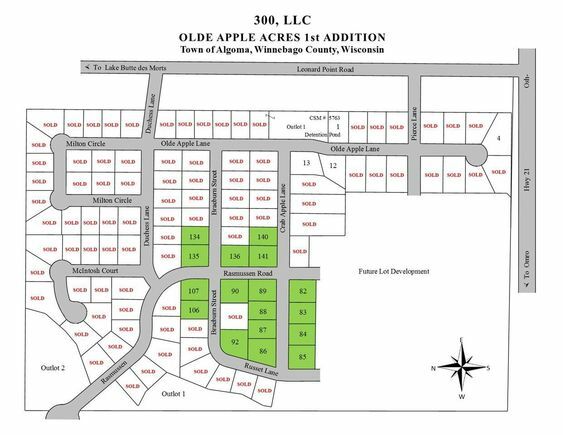 Large country style lots in the Town of Algoma in the Oshkosh School District. Complete with Municipal Sewer and Water, Electric, Gas, Telephone and Cable all to the Lot Line. Lot price does not include Algoma Sanitary District #1 Connection fees. Listing courtesy of WIREX_RANW / Midwest Real Estate, Inc. The details on 3890 BRAEBURN STREET: This land located in WI 54904 is currently for sale for $59,900. 3890 BRAEBURN STREET is a – square foot land with – beds and – baths that has been on Estately for 976 days. This land is in the attendance area of Oakwood Environmental Education Charter School, Traeger Middle School, and West High School. Listing Courtesy of: WIREX_RANW and Midwest Real Estate, Inc..